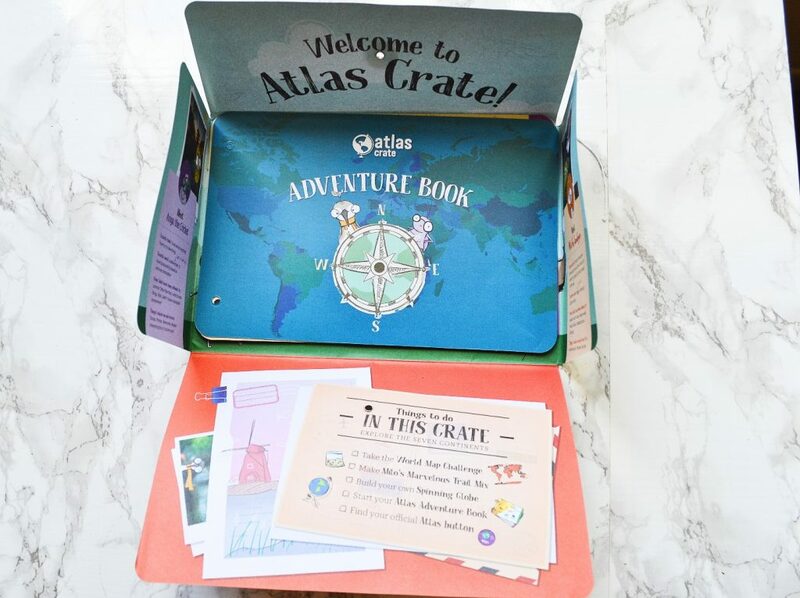 Atlas Crate is a subscription box line from Kiwi Co, designed to explore world cultures and teach new STEAM concepts to kids ages 6-11. A monthly subscription costs $19.95, and will contain all sorts of globally inspired activities. 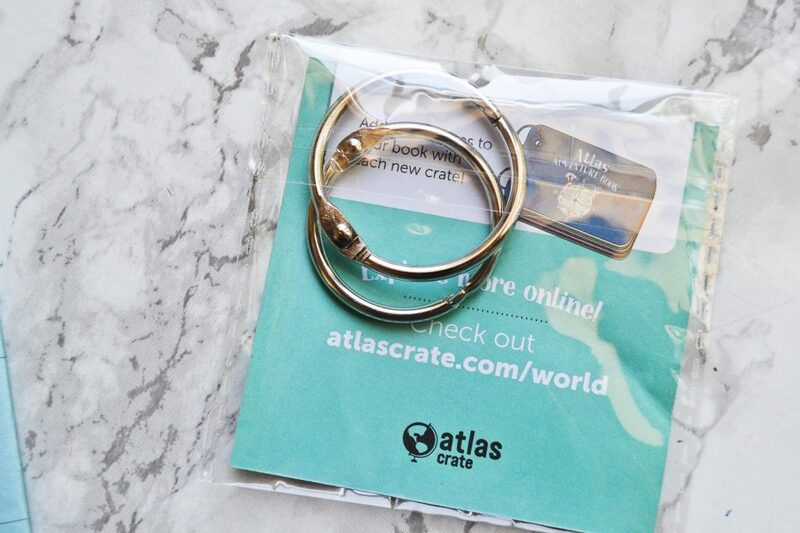 Atlas Crate will send you a World themed box for your first month. 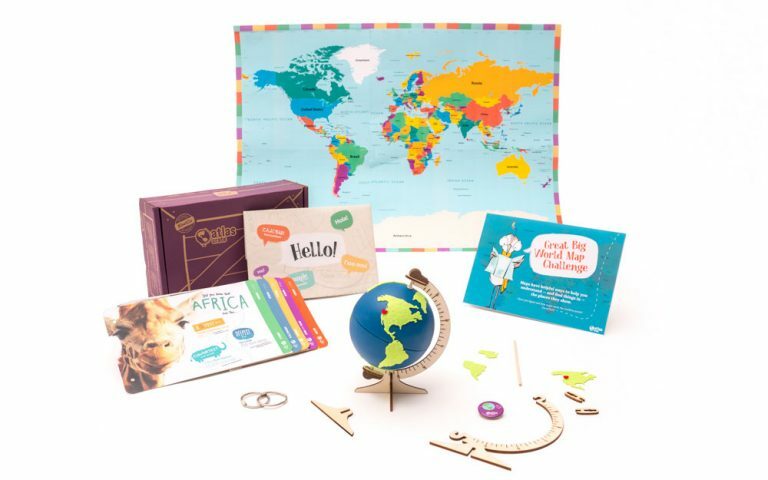 Each month after that, you will receive boxes themed around different countries. 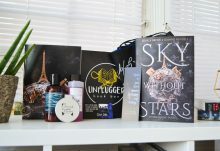 Today, I will be reviewing the World box! You can see what theme your box has by looking at the front of the box. I like that they give a brief overview of what’s inside! 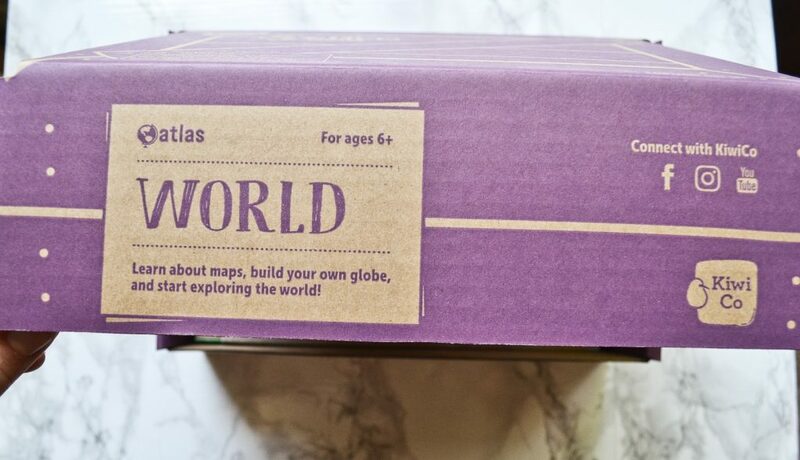 The box says that we will learn about maps, build our own globe, and start exploring the world. The first thing I noticed inside the box was a welcome packet, which gave an overview of which activities are in the World box. 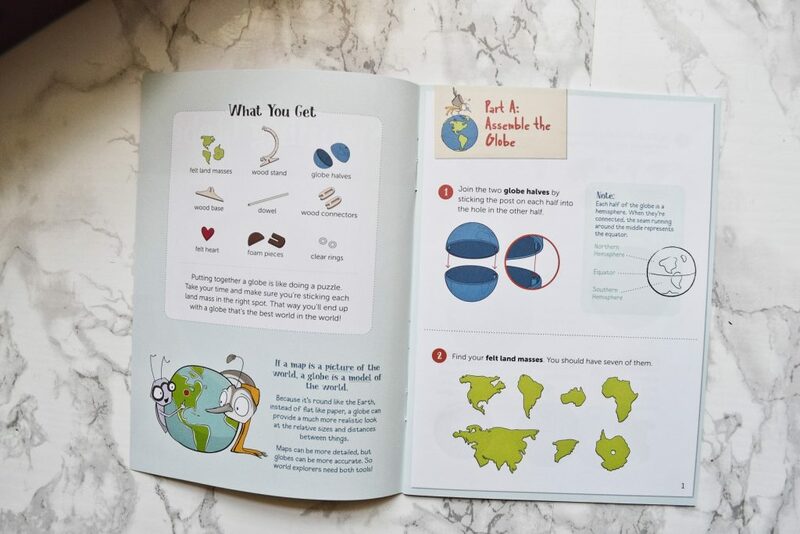 This welcome packet does a wonderful job of explaining Atlas Crate to little ones, and even introduces them to characters that they will see in future boxes. 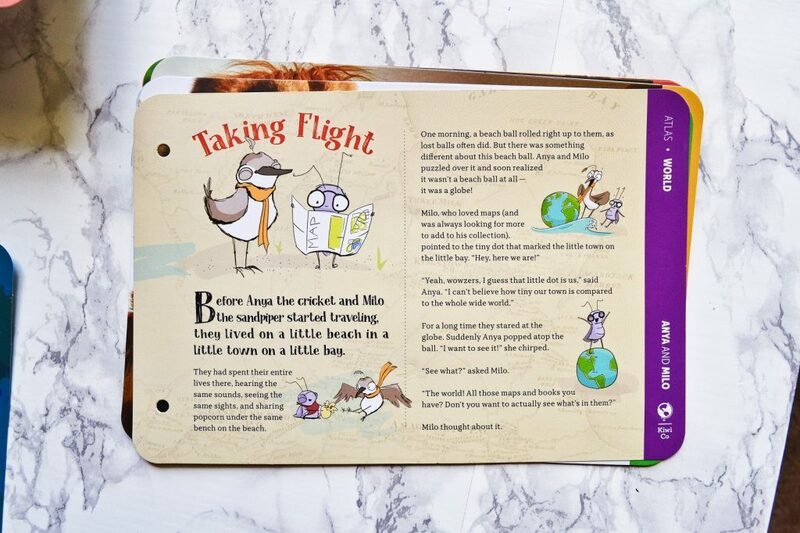 Throughout your little one’s Atlas Crate journey, they will have Anya the Cricket and Milo the Sandpiper as travel companions. I think this is a sweet touch! 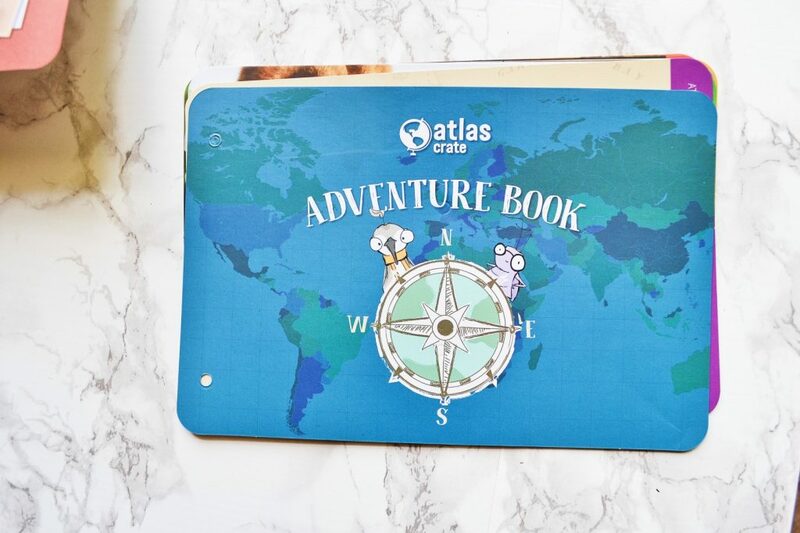 Each month, Atlas Crate will send you pages to put in your Adventure Book. In the World box, they help you get your book started. 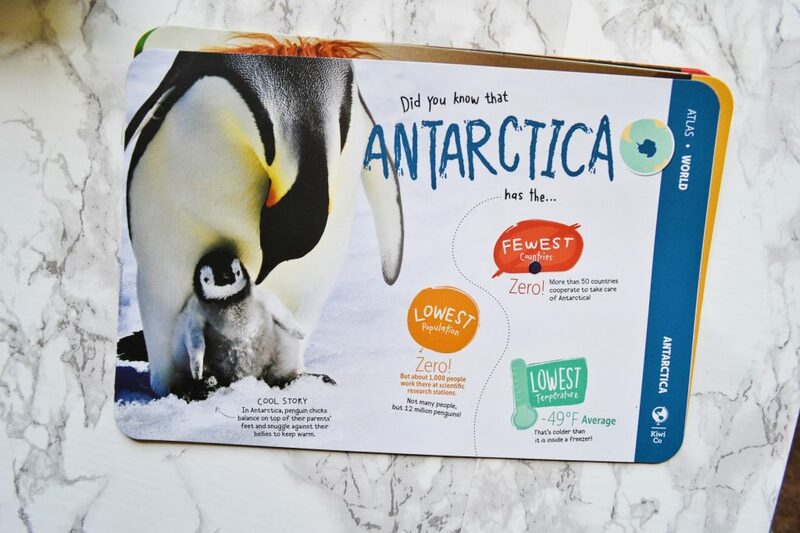 This box included a cover page, as well as a story, information pages for all seven continents, and a trail mix recipe. They also included a binder clip, so you can easily add in pages from future boxes. 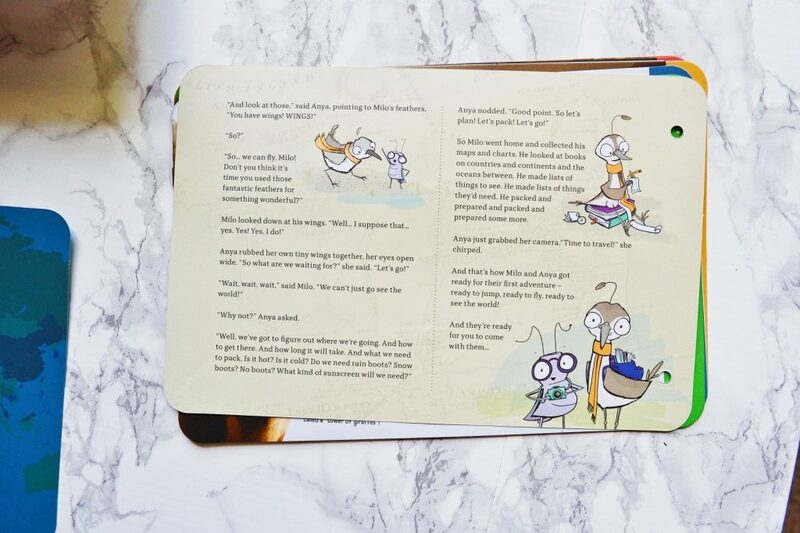 The cover page has a map of the world, and features an illustration of Anya and Milo. 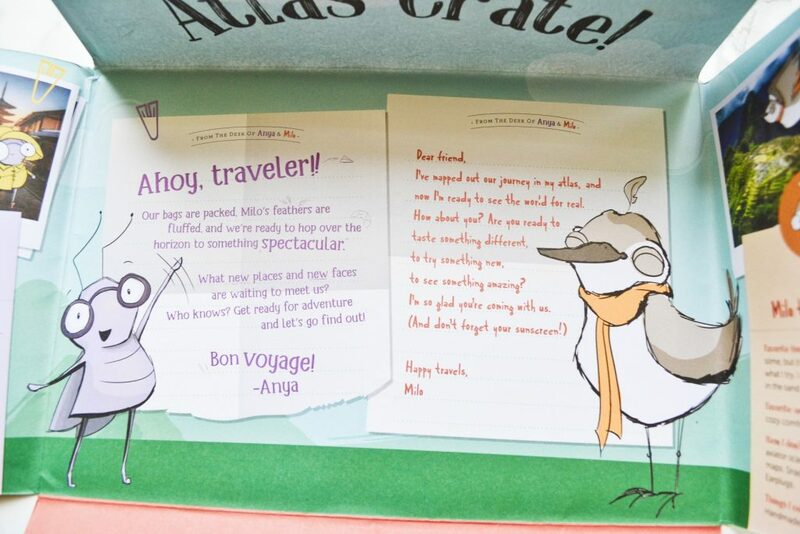 Atlas Crate also included a cute little story about how Milo and Anya decided to become world travelers. 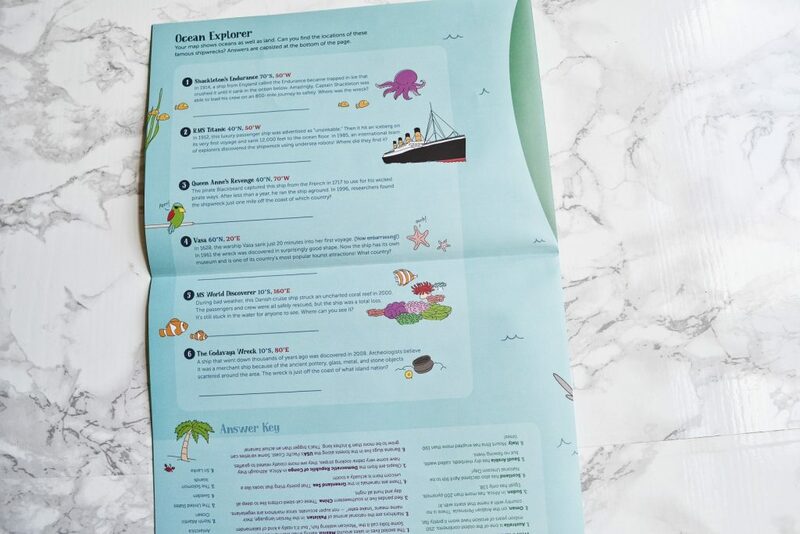 Next, there are pages with information about each of the seven continents. In future boxes, you will receive country-specific pages to add to your Adventure Book. 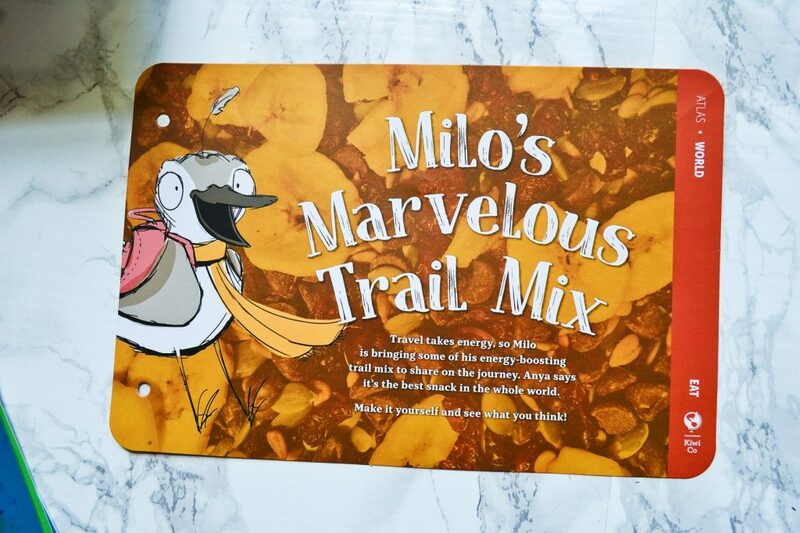 The final page for the Adventure Book was a recipe for Milo’s Marvelous Trail Mix. And here are two binder clips to hold your book together! 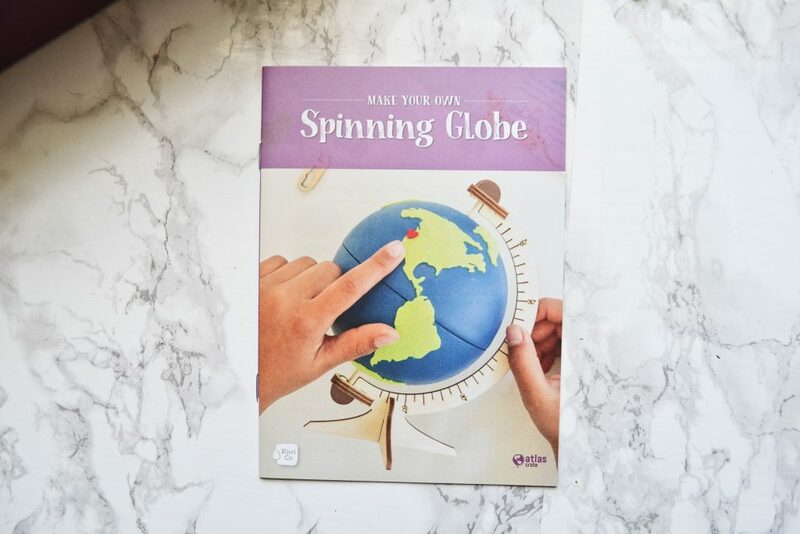 Now that we’ve completed our adventure book, let’s move on to the Spinning Globe project. Atlas Crate included a booklet with step by step instructions, complete with lots of diagrams. 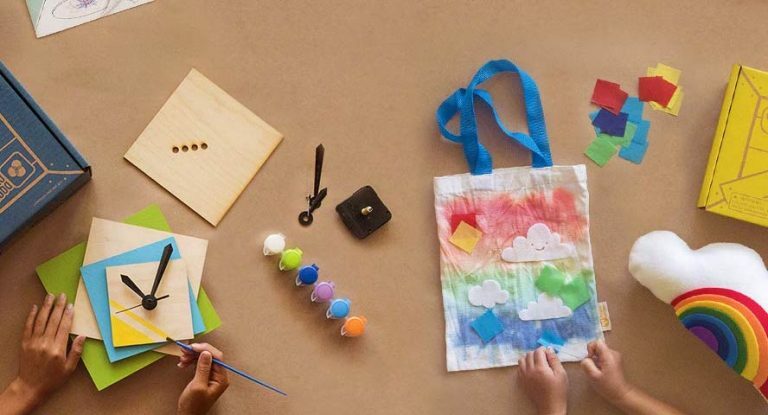 I love that they included so many visuals, because it will make it easier for a child to follow along with the directions. It is pretty easy to assemble the stand, and there are no tools required. 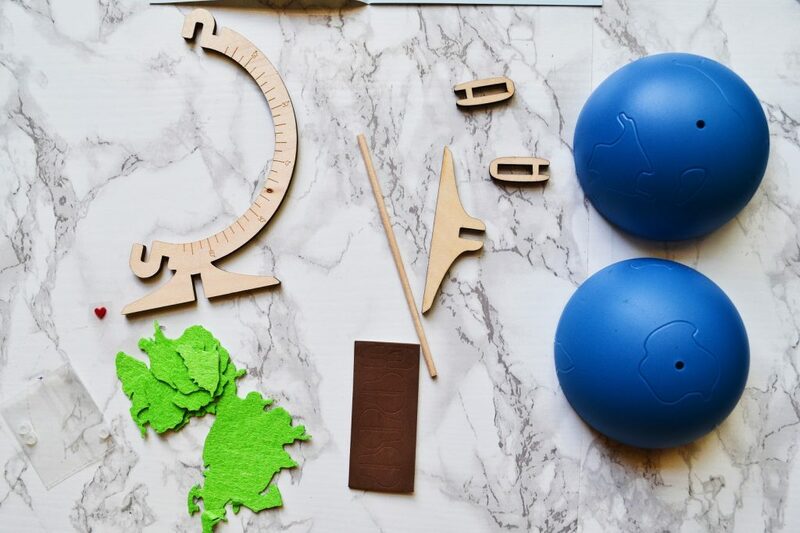 Your little one could probably put this together all on their own! 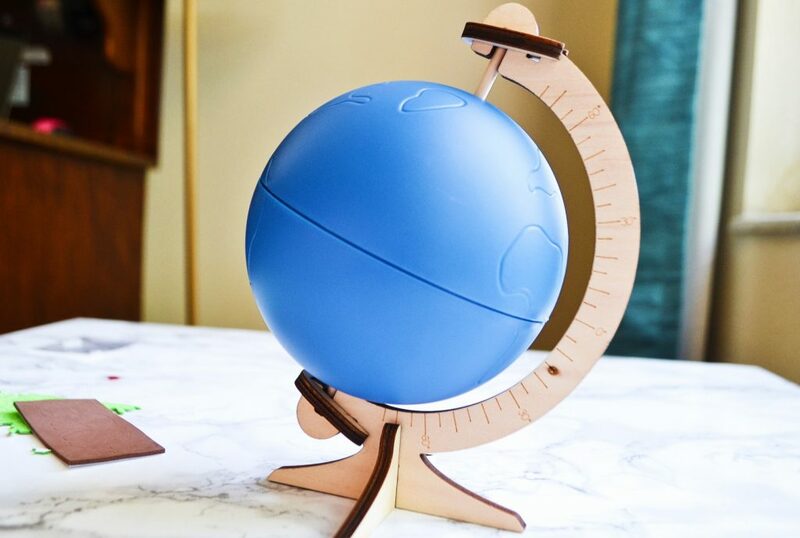 There are also felt continent stickers than you can place on the globe. 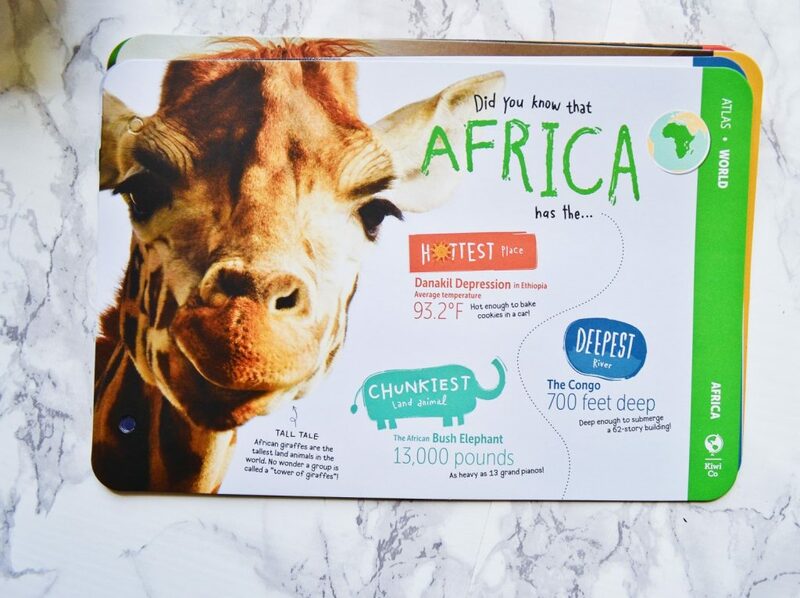 It would be fun for your child to read about the continent in their Adventure Book after putting on each sticker. Atlas Crate also included a large map in their World box. The map includes latitude and longitude lines, and the map key has symbols for rivers, lakes, mountain peaks, country boundaries, shipwrecks, and wonders of the world. I know I would have loved looking for shipwrecks on a map as a child! 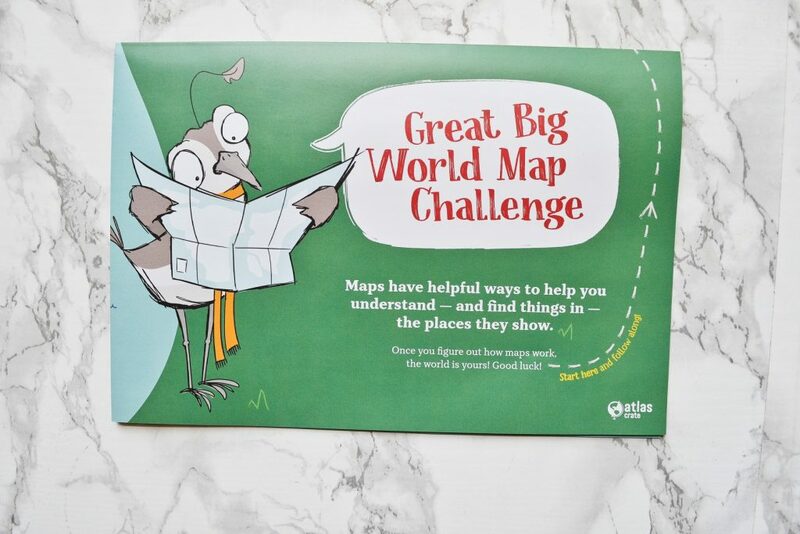 Once your child has had a look at the map, they can take the Great Big World Map Challenge! This challenge has all sorts of questions and trivia regarding mountains, wonders, shipwrecks, and animals around the world. 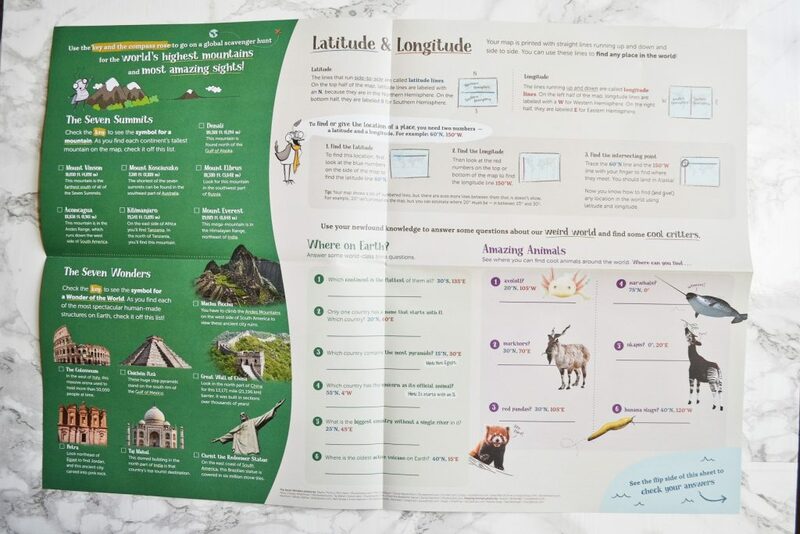 You can use the map key to find the answer to some of the questions, and you have to use latitude and longitude hints to find the answers to other questions. 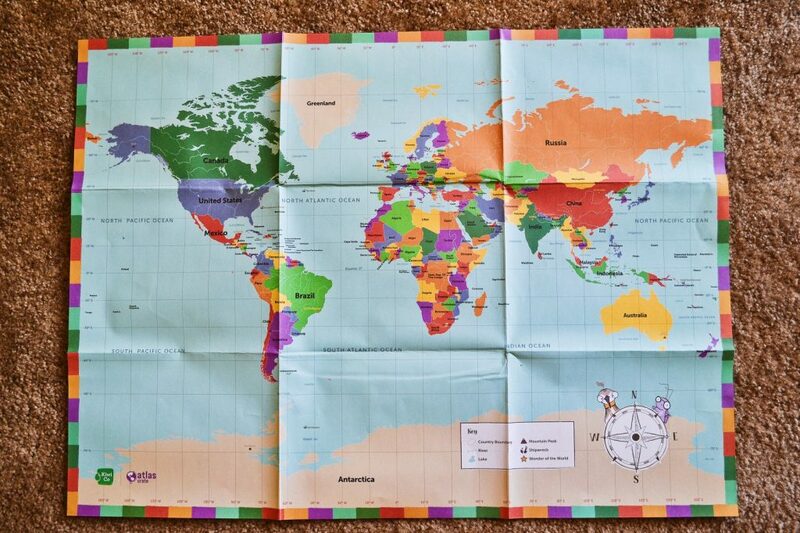 This is definitely a great way to help your child feel comfortable reading a map. 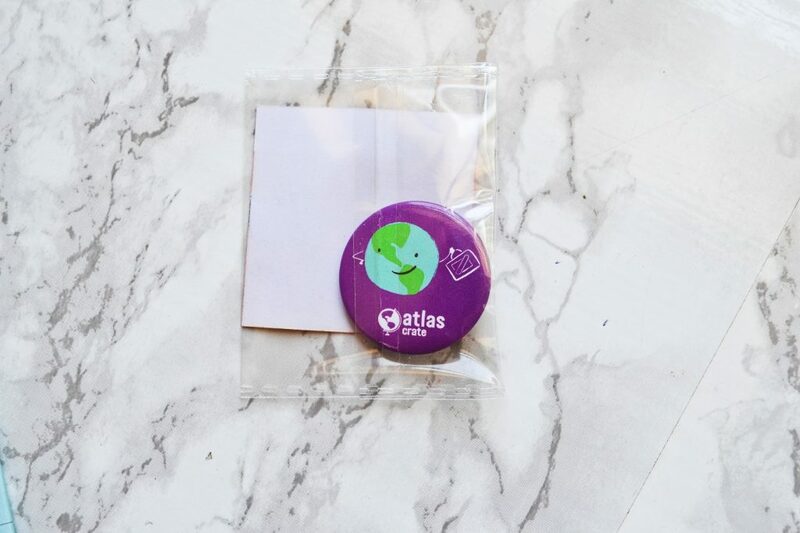 The final item in the World Crate is an Atlas button. 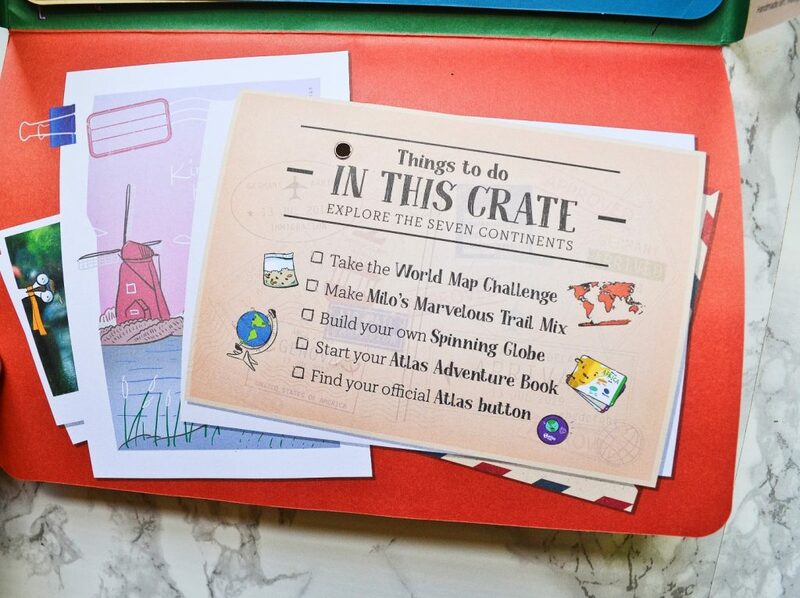 Overall, I think Atlas Crate is a wonderful way to teach children about the world. 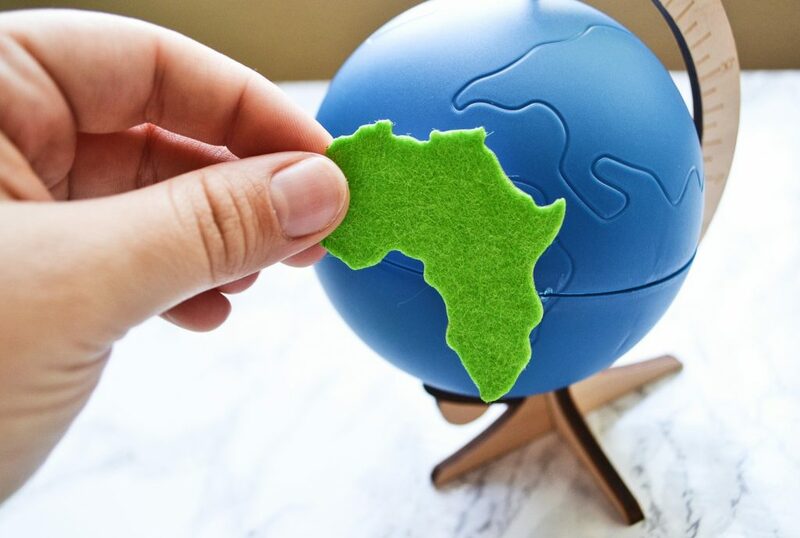 Over the course of their subscription, they can learn about countries more in-depth, and gain cultural awareness while also having loads of fun. 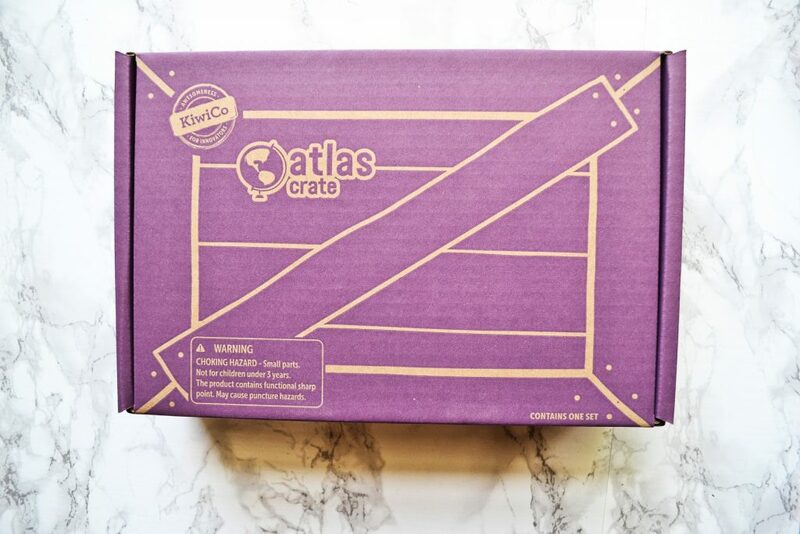 Atlas Crate has put out other boxes, such as Japan and Peru. I can’t wait to see what other countries they will include! These boxes will provide your children with hours of fun, and I think they are well worth the cost.